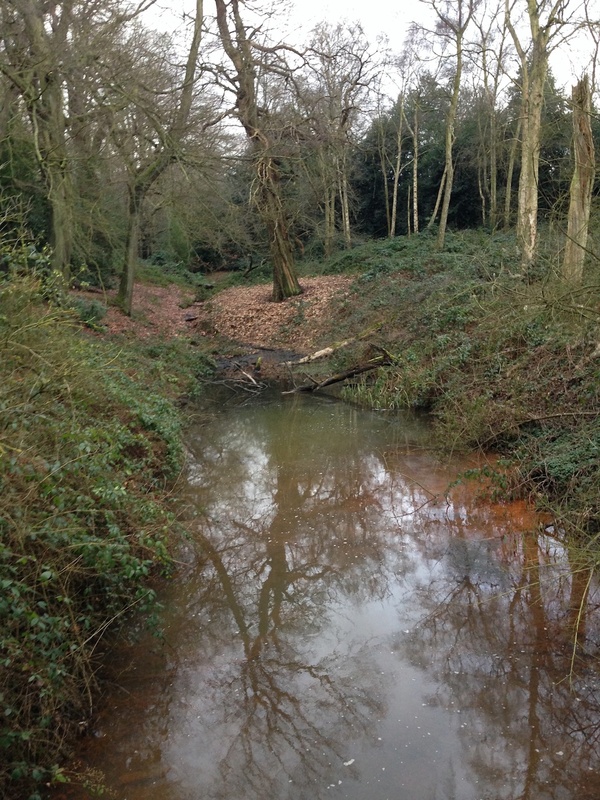 The Fleet begins from two streams located on Hampstead Heath, one of which begins in the grounds of the Kenwood Estate. Both streams were dammed in the eighteenth century to create reservoirs. These reservoirs then run into underground sewers and combine to form the River Fleet. 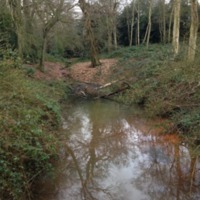 This image depicts one of the streams running into the pond at Kenwood, which then runs into the Fleet. Photo by M. Conner McCallum, “River Fleet (in 2015),” Medieval London, accessed April 22, 2019, http://medievallondon.ace.fordham.edu/items/show/185.